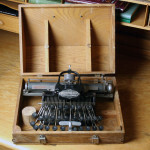 Georg Blickensderfer (1850-1917) designed this typewriter in 1885. 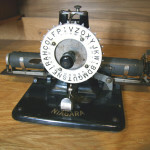 Patent was granted in 1889. 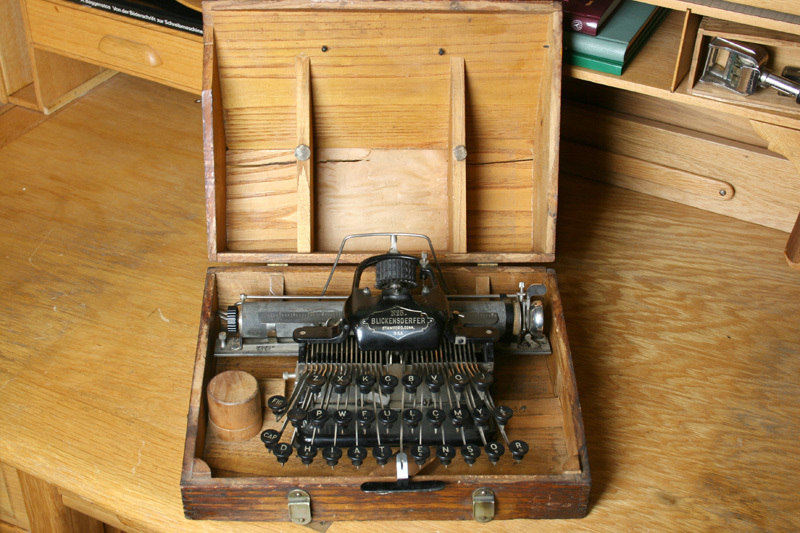 Compared with standard typewriters Blickensderfer was small and light. 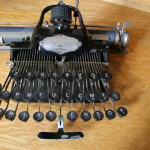 It consisted of only 250 parts compared to the about 2500 parts of office typewriters. 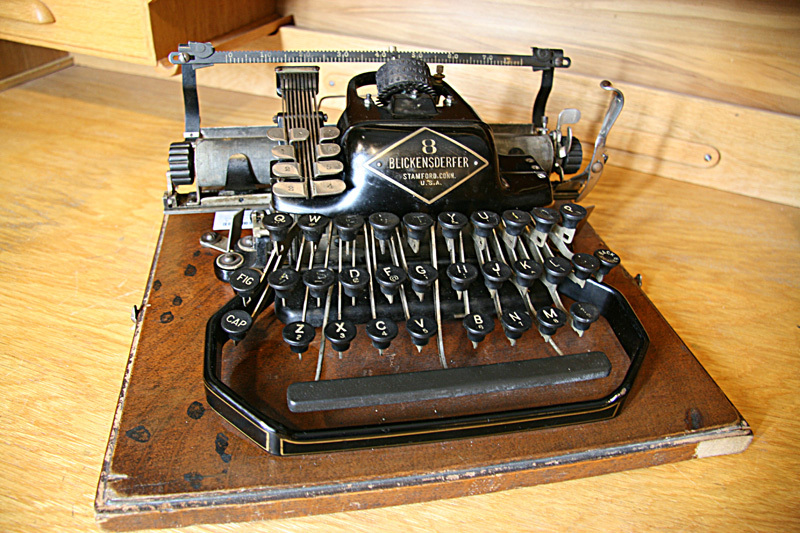 The first successful model No.5 was introduced in 1893. In the beginning sales was low but increased considerably in a few years. Collectors value Blickensderfer and it belongs in all serious collections. Models 1, 2 and 3 have not been found to this date. 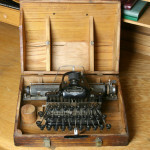 Blickensderfer Electric was introduced in 1902. 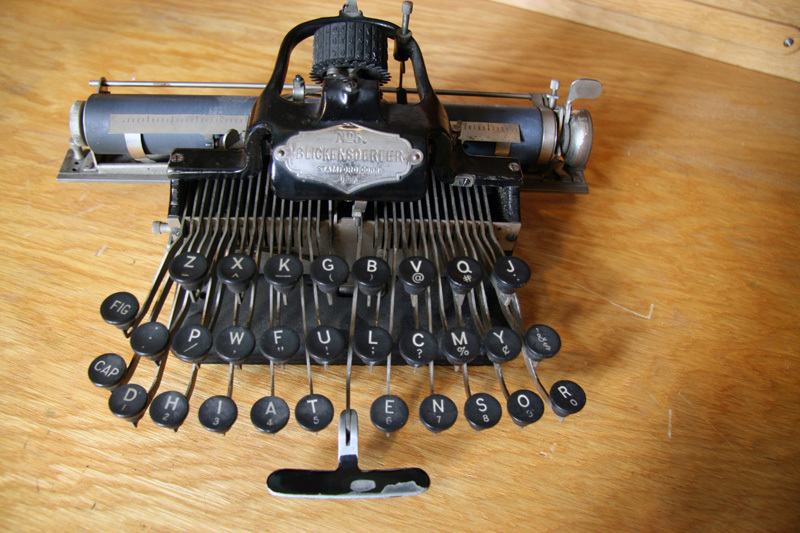 This advanced typewriter was ahead of its time. 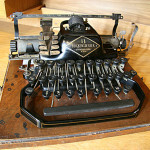 Only a few were sold and it is today one of the rare typewriters and expensive when offered for sale. 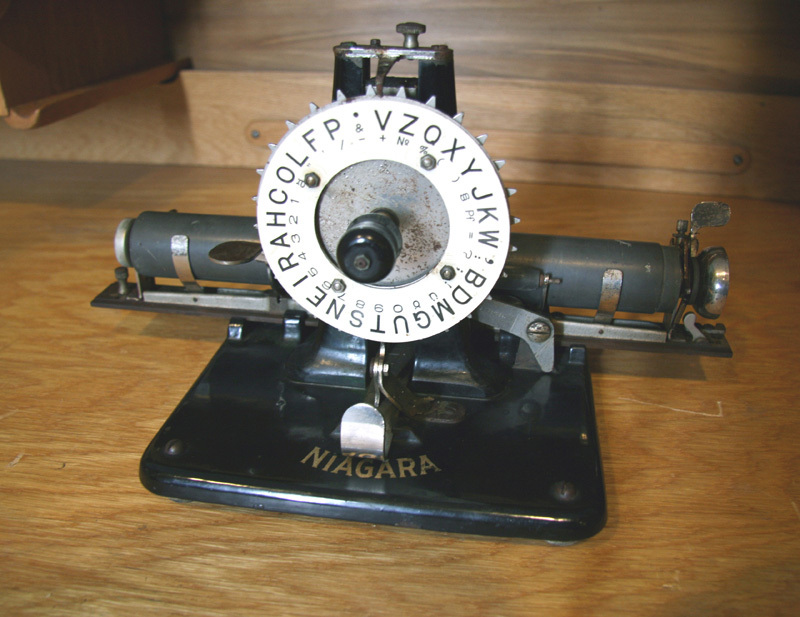 The same applies to Niagara which was a stripped-down inexpensive version of Blickensderfer. 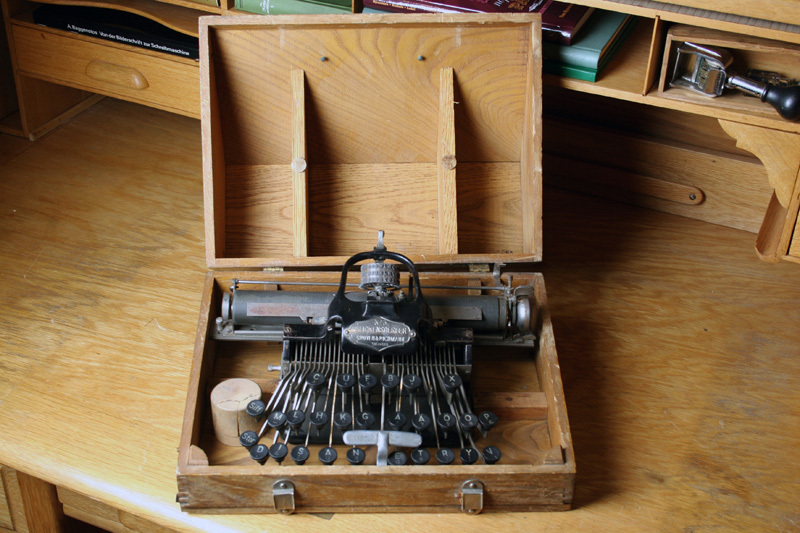 It was made upon the chassis of Model 5.